This review first appeared in October 2014 issue of high-end hifi magazine fairaudio.de of Germany. You can also read this review of Progressive Audio in its original German version. We publish its English translation in a mutual syndication arrangement with the publishers. As is customary for our own reviews, the writer's signature at review's end shows an e-mail address should you have questions or wish to send feedback. All images contained in this review are the property of fairaudio or Progressive Audio - Ed. Not just another brick in the wall. Sometimes meetings are tough. I refer to us and the hifi components we’re interested in. Either such potential objects of desire can’t be locally auditioned; or other reasons interfere. Here reviewers have an edge. Simply ask for personal deliveries. That’s what I did with the Progressive Audio Extreme I. Why it and I hadn’t gotten (it) together hadn’t been due to insufficient opportunities. No, those had come by way of the Norddeutsche Hifi Tage and High End Munich 2014. But, there’s the salient little fact that Progressive’s boss Ralf Koenen is a passionate opera fiend to love demming his wares with corresponding music. So? Well, I promptly hightail it out of any room that runs a coloratura soprano. Even so, the literally most fleeting impressions which the Extreme I managed to convey at these events under such conditions were… well, big. Quite literally. At 19 x 40 x 35cm WxHxD, this rather compact speaker had filled its spaces with such unbelievable conviction that I just had to learn more about it and its maker. I did have to lean a bit on our publishers before they made contact with this small but well regarded firm from Essen-Kettwig. Ralf Koenen launched Progressive Audio in 1995. Since then his kit—be it the speaker models Elise or Pearl, the integrateds A1 and A2 or the CD players CD1 and CD2—has enjoyed a strong reputation with both the specialist press and a mostly well-off clientele. Well off they are because Koenen’s stuff isn’t really that affordable. Until the appearance of the Extreme I, he in fact had no speakers below €10’000 unless one chanced upon the occasional demonstrator or blemished B stock specimen. Demand for such ‘rejects’ was so high, apparently, that Ralf Koenen eventually succumbed to offering a speaker model that would appeal to music lovers on tighter budgets. The usual solution would have been to dumb down a successful model whilst incurring budget-enforced compromises. That however wasn’t to Koenen’s taste. Sure, to convert the Elise’s complex acrylic enclosure into plain Ply would surely have netted a sub €10K pair. But it would also have smacked of betrayal on dearly held convictions. And one of those convictions is that acrylic makes for the far superior enclosure material. Compromising here simply wasn’t on the menu. Hence a clean-slate design. At ca. 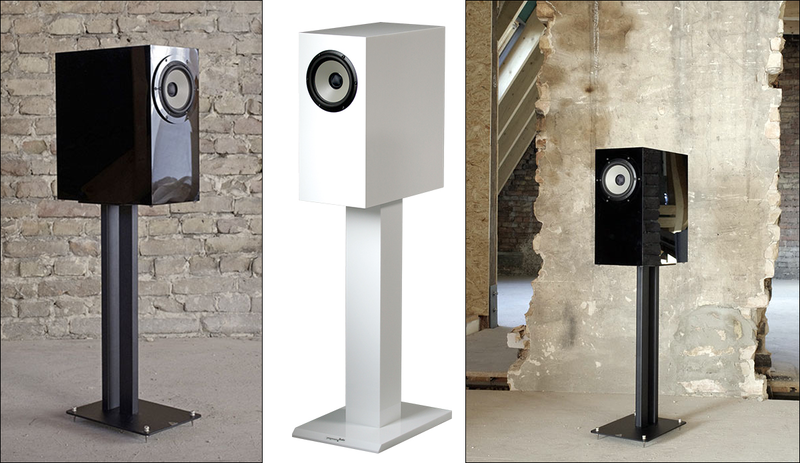 €4’000/pr, the Extreme I remains a bona fide Progressive Audio speaker. How was this realized? Koenen cites higher sales volumes which allowed more cost-effective production. Then there was a particular driver he’d ogled for a while: the 16cm coax from the Excel range of Seas. 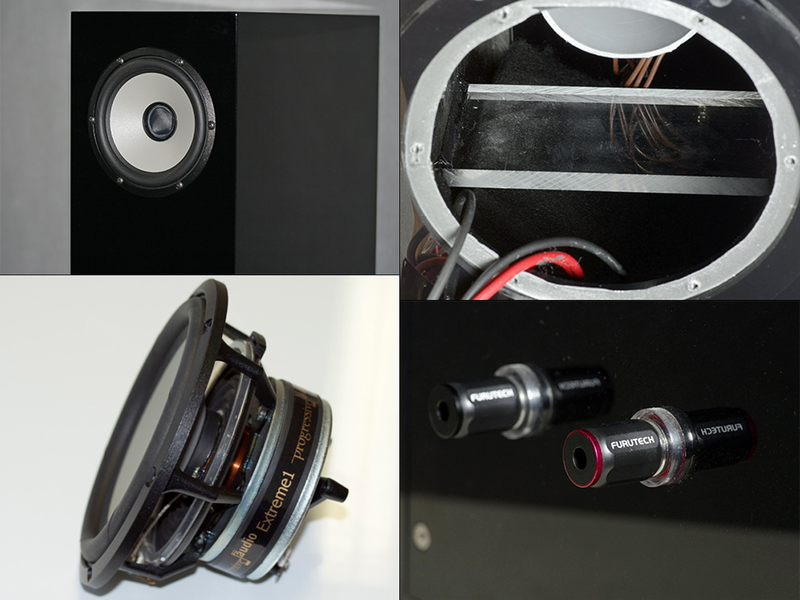 Their 18cm Prestige coax shows up in a number of ambitious speakers like Ascendo’s C6 and C8 Renaissance or the American Von Schweikert brand. Spotting the more upscale Excel range equivalent is rarer however. Progressive doesn’t even use the standard version but one which the Norwegians modified to his specs. That’s possible for a sane price only when there’s sufficient volume. How does one arrive at that? Koenen had a simple answer: one must sound impressive. To achieve that, he paid particular attention to two aspects.